Donald Trump has called the response to the killing of Saudi journalist Jamal Khashoggi ”the worst cover-up” in history as the US announced it would sanction Saudi Arabian officials who are implicated in the death. Mr Trump was speaking hours after Turkish president Recep Tayyip Erdogan dismissed Riyadh’s efforts to blame Mr Khashoggi’s death, within the Saudi consulate in Istanbul, on “rogue operatives”. 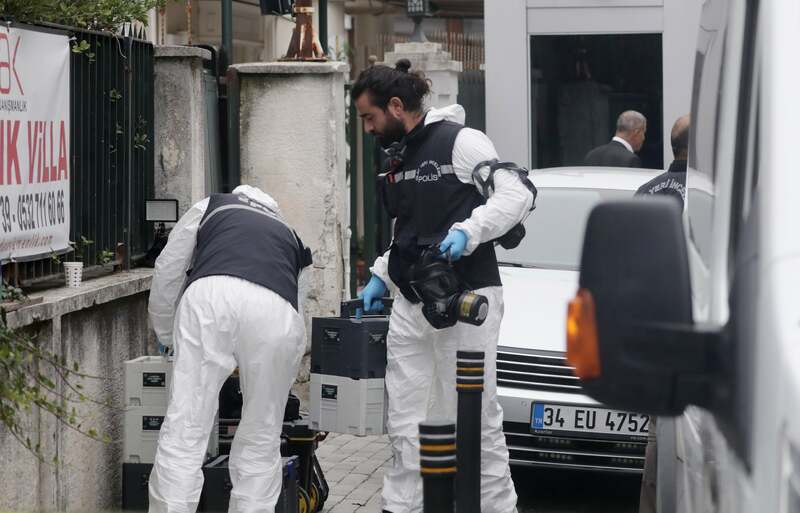 Mr Erdogan called for Saudi Arabia to search from “top to bottom” to uncover those behind what he called “savage” premeditated murder of Mr Khashoggi – who was last seen alive entering the consulate on 2 October. Mr Trump said the Khashoggi case was handled badly by Saudi officials. “Bad deal, should have never been thought of. Somebody really messed up. And they had the worst cover-up ever,” he said. ”Once they thought about it, everything else they did was bad too,” the president added later. Having spent weeks maintaining that Mr Khashoggi had left the consulate alive, Saudi authorities have said they now believe that Mr Khashoggi – a US resident and Washington Post columnist – was unintentionally killed in a “fight” with “suspects” inside the diplomatic premises. 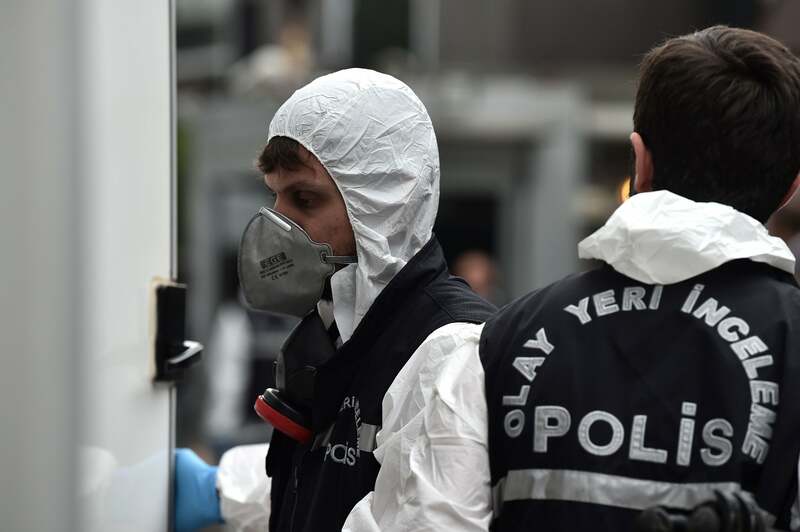 That explanation has been met with scepticism, with Turkish officials having alleged that a 15-man ‘hit squad’ was behind the killing and that Saudi officials had planned the operation for days. The killing has caused global outrage, with the fallout straining relations between Riyadh and a number of governments who have called for a transparent investigation. 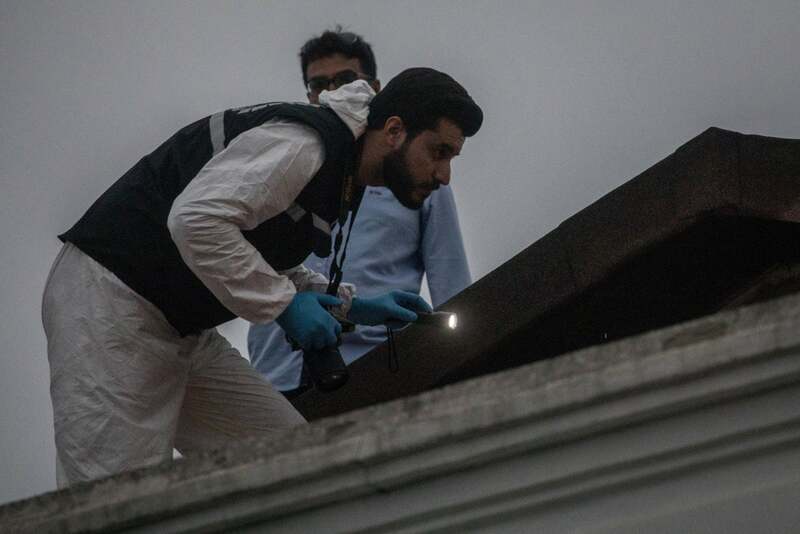 The G7 nations issued a fresh call for “a thorough, credible, transparent and prompt investigation” on Tuesday adding Saudi Arabia needed to put in place “measures to ensure that something like this cannot happen again”. “There should have never been an execution or a cover-up, because it should have never happened,” the president said. He added that he had spoken on Monday with Crown Prince Mohammed bin Salman who denied having anything to do with Mr Khashoggi’s killing. The crown prince has come under pressure over his links to some of the suspects identified as allegedly being involved by Turkish officials. On Tuesday, the Saudi foreign ministry released photos of Mr Khashoggi’s son, Salah bin Jamal Khashoggi, meeting the crown prince and King Salman in Riyadh. The crown prince did receive a standing ovation when he appeared at a major investment conference in Riyadh, a conference that a number of Western government officials and business leaders have withdrawn from because of the controversy. Shortly after Mr Trump made his comments, Secretary of State Mike Pompeo said the administration was moving to revoke the visas of Saudi government and intelligence agents suspected of involvement in the death of Khashoggi. Visa records are confidential and Mr Pompeo was not more specific about who the revocations would affect, but the State Department later said 21 “Saudi suspects” would have visas revoked or would be declared ineligible to enter the US. The penalties are the first action taken by Washington over the affair, with Mr Trump having faced pressure from Congress to sanction Riyadh. Hello and welcome to The Independent‘s coverage of the latest twists and turns in the Jamal Khashoggi case. Turkey’s president Recep Tayyip Erdogan is set to make a major statement today on the journalist’s death inside the Saudi consulate in Istanbul on 2 October. We are expecting Mr Erdogan to give a speech about the murder of Khashoggi around 9.30 this morning. I will be covering the speech from London while our international correspondent, Borzou Daraghi, will be reporting on it from Istanbul. 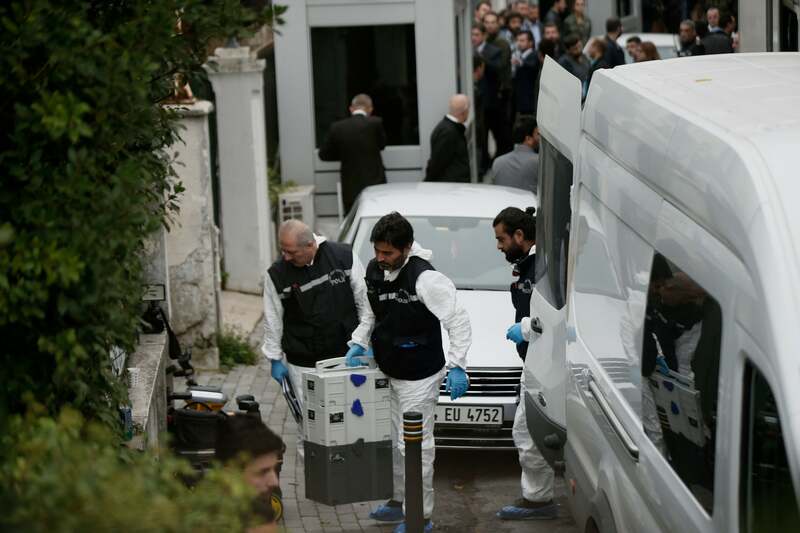 A diplomatic vehicle belonging to the Saudi consulate was discovered abandoned on the outskirts of Istanbul, reportedly dumped days after Khashoggi was killed by a 15-man Saudi squad. 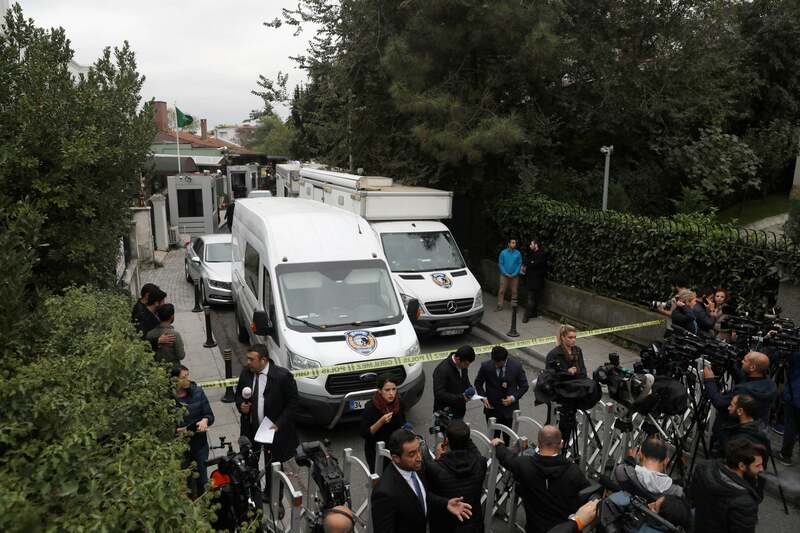 A diplomatic vehicle belonging to the Saudi consulate has been discovered abandoned on the outskirts of Istanbul, days after the killing of journalist Jamal Khashoggi. Security sources told Turkey’s state TV the vehicle was found in the Sultangazi district, some way outside the city centre. Turkey’s foreign minister has said his country would cooperate with international bodies if they launched an independent probe into the killing of Khashoggi. Mevlut Cavusoglu told the state-run Anadolu Agency that Turkey has not shared evidence concerning his death at the Saudi consulate with any country but added there may have been “an exchange of views between intelligence organisations”. 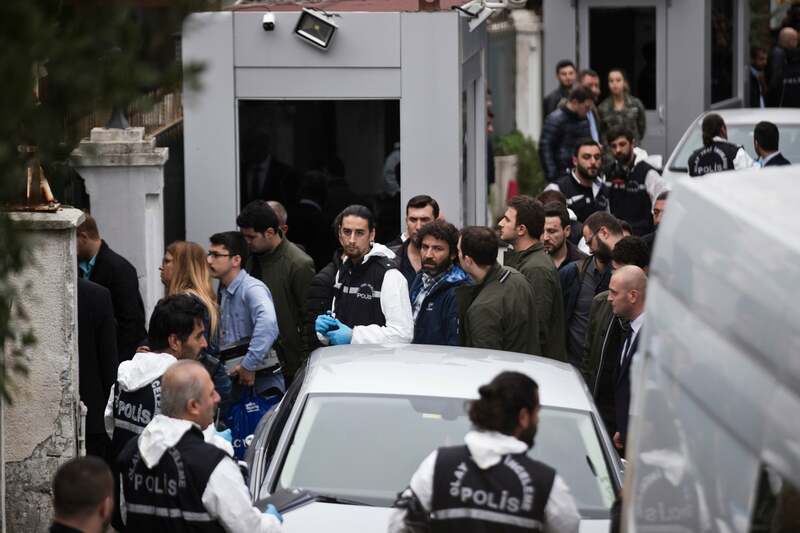 “If a request for an international investigation is made … we would cooperate,” Mr Cavusoglu said, hours before Turkey’s president was expected to announce details of his country’s investigation into the killing. A Jamal Khashoggi lookalike was present on the 15-man Saudi team, raising questions about Saudi Arabia’s narrative of the case. The timing of the Turkish president’s expected speech, due to unveil the “naked truth” about what happened to Jamal Khashoggi in his final moments, cannot be a coincidence, The Independent‘s deputy international editor, Olivia Alabaster, writes. It comes on Tuesday morning, at exactly the same time as the Future Investment Initiative is opening in Riyadh. Billed as a huge investment opportunity, and “a blueprint for the 22nd century,” it’s been seen as the brain child of crown prince and de facto ruler, Mohammed bin Salman. But the conference has become almost an embarrassment, with almost all major sponsors, speakers and high-profile attendees pulling out – including the UK international trade secretary Liam Fox, US secretary of state Steve Mnuchin, Christine Lagarde, the chair of the IMF, the New York Times, the Financial Times, and the CEO of Uber, Dara Khosrowshahi. 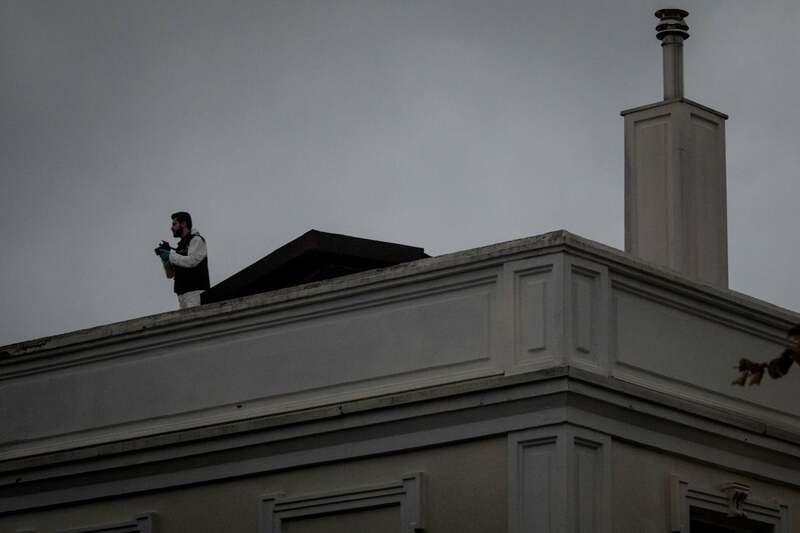 The Saudis say Khashoggi was killed in a fist fight at the consulate, at first claiming he had left the building. Gina Haspel, the director of the CIA, was travelling to Turkey on Monday to investigate Khashoggi’s death. It comes after Donald Trump said he was not satisfied from what he heard from Saudi Arabia about the killing. 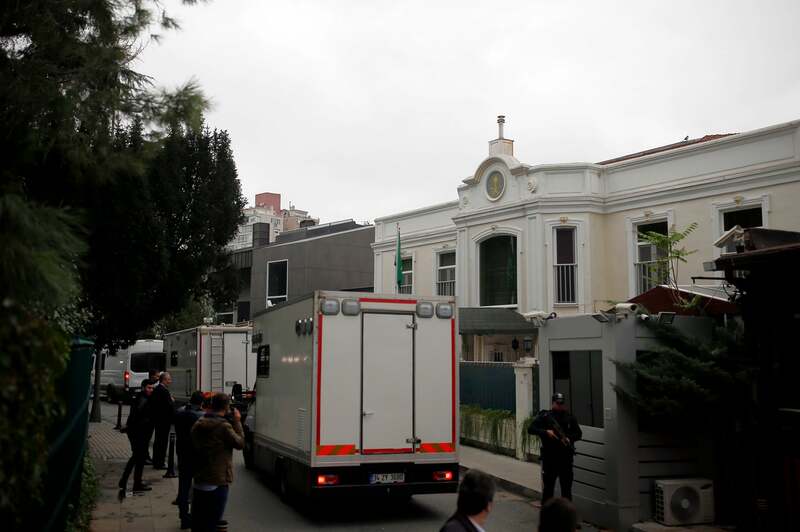 Turkish newspaper Sabah and other pro-government news media are reporting a consular attache who arrived in Istanbul a day before Khashoggi’s death was the “brains” behind the operation, Borzou Daragahi, our international correspondent, writes from Istanbul. 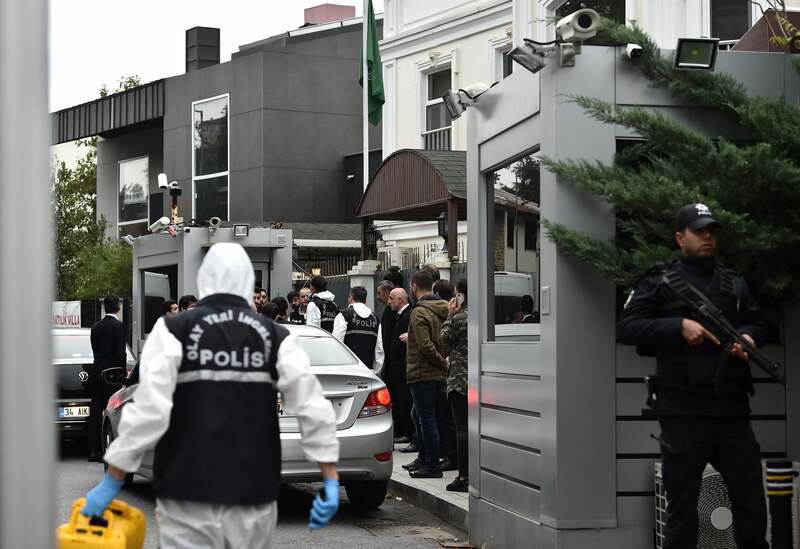 He is named Ahmed Abdullah al-Muzaini and was on official consular duty but Turkish officials say he was answering to Ahmed Assiri, the deputy head of Saudi intelligence who was recently deposed. Mr Muzaini went to Riyadh a day after Khashoggi first went to the consulate on 28 September, returning 2 October. He left for Riyadh at 9pm on the day Khashoggi’s murder. Saudi Arabia’s investment conference, dubbed “Davos in the Desert” was hacked with an image of Khashoggi about to be beheaded by the kingdom’s crown prince, Mohammed bin Salman. Mr Erdogan has begun his address to Turkey’s parliament, which he promised would unveil the “naked truth” about the killing of Khashoggi. You can watch Mr Erdogan’s statement here, translated into English. Mr Erdogan is now recounting Khashoggi’s movements on the day he was murdered. 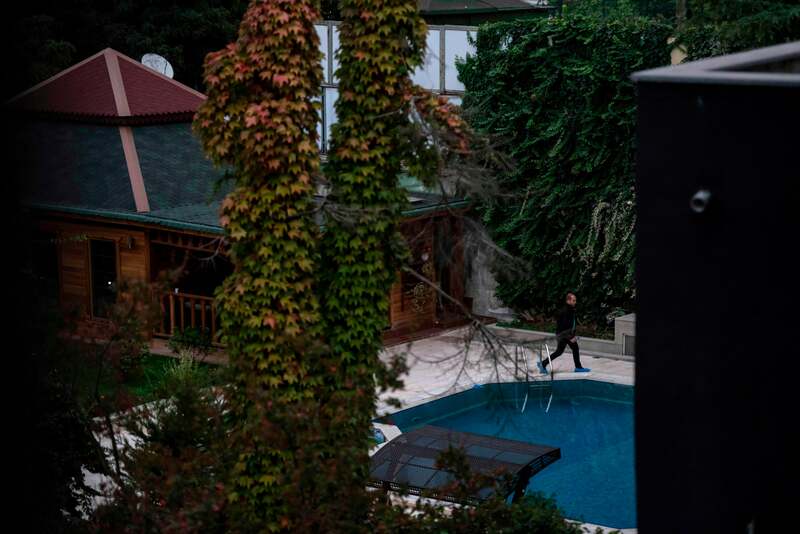 Mr Erdogan said a Saudi team of three people landed in Istanbul a day before Khashoggi was killed and went on an exploration trip to Belgrad forest in Istanbul and Yalova, a 55 mile drive south of the capital. 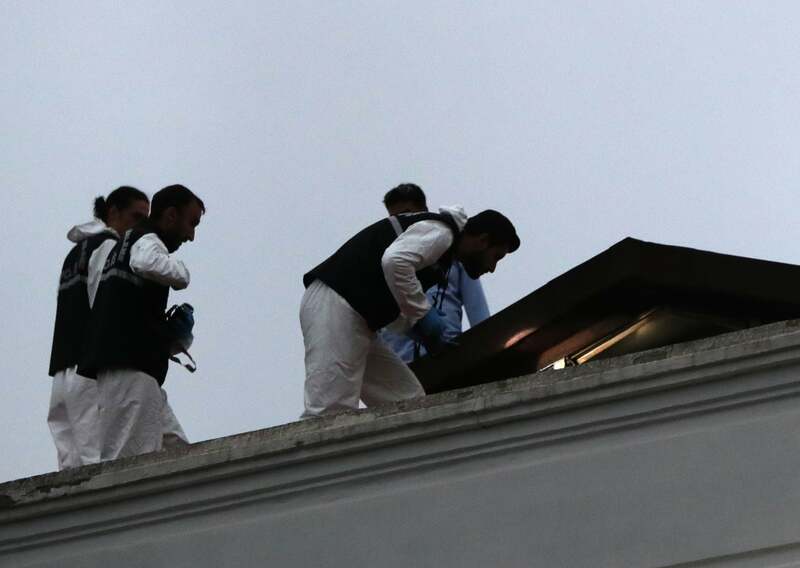 He said a Saudi team of 15 entered the consulate on the day of the killing and the security cameras in the consulate were removed. He has accused Saudi officials of planning the writer’s murder days before he was killed. Mr Erdogan has said the 18 people arrested in Saudi Arabia in relation to the killing of Khashoggi chime with Turkish intelligence. He said Turkey will investigate the murder in every way. Evidence shows Khashoggi was killed in a “savage way”, Mr Erdogan said. He has asked why the journalist’s body has still not been found and said a body double had been used as a decoy. “All those from the highest level to the lowest level will be highlighted, and will get the punishment they deserve,” the Turkish president said. He said Saudi authorities must reveal those who planned to kill the writer, regardless of their rank. He also said the issue of diplomatic immunity would be discussed in relation to the case. Mr Erdogan has called on the Saudi king to allow the 18 people suspected of murdering Khashoggi to be tried in Istanbul. He said the writer was the victim of savage murder and there can be no cover up. During his speech, Mr Erdogan said he was not satisfied with Saudi Arabia blaming some of its intelligence agents. Speaking at parliament, he said he does not doubt the Saudi king Salman’s sincerity, without elaborating. He demanded Saudi Arabia reveal the identity of a “local cooperator” who allegedly took Khashoggi’s body. “To blame such an incident on a handful of security and intelligence members would not satisfy us or the international community,” Mr Erdogan said in a speech to ruling party lawmakers in parliament. Of note is that while Mr Erdogan said he does not doubt the Saudi king Salman’s sincerity, he did not mention the kingdom’s crown prince, Mohammed bin Salman. 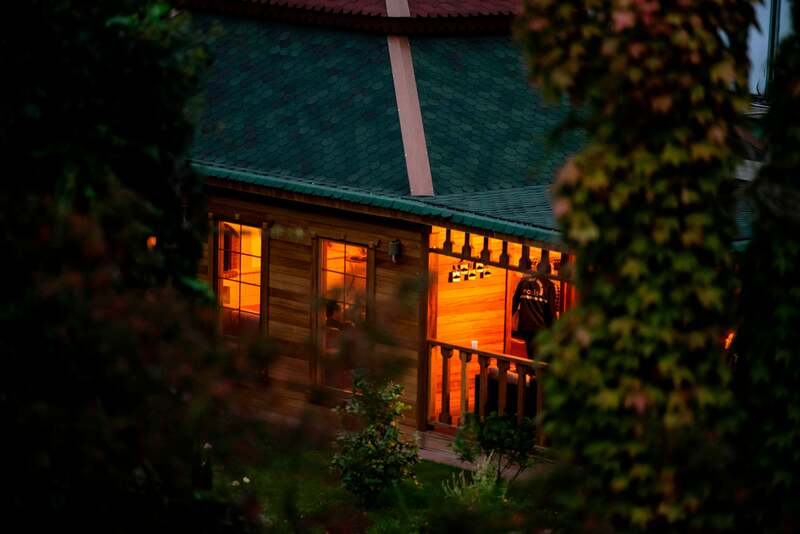 Officials linked to the royal have been implicated in Khashoggi’s killing. The kingdom has stressed that the heir-apparent was not involved, but any major decision must be signed off by the highest powers within its ruling Al Saud family.